SUMPTUOUS GRAY PEAU DE SOIE. JACQUELINE KENNEDY. This set was made of a sumptuous gray silk peau de soie, with silwer thread embroidered im a medallion pattern. 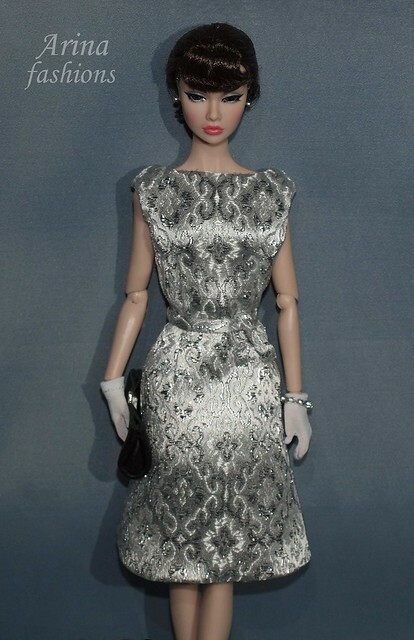 The curved and extended shoulders matched the A-line of the skirt – an inverted triangle. Today it is in the collection of the Museum of American History at the Smithsonian. 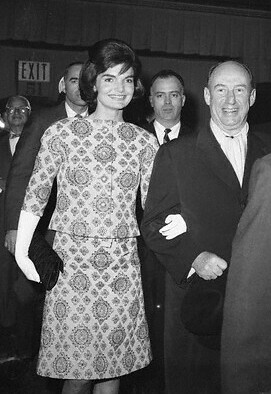 Jackie wears it here to attend the New York City Balet with Adlai Stevenson. Jackie with Peruvan ambassador Fernando Bwrckemeyer at the reception for Latin American diplomats. 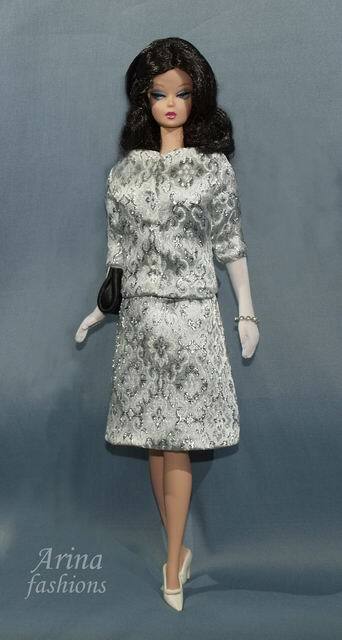 This fashion includes the gray brocade dress, jacket, belt, earrings, bracelet, 2 pair of gloves and black laser purse.